I had the honor of photographing Julia & Jason's Maternity Session in this gorgeous wide open field.They hopped in Jason's truck early morning and took a drive out to the Country to shoot in this beautifiul location with us. These two parents are expecting a little boy here very soon. 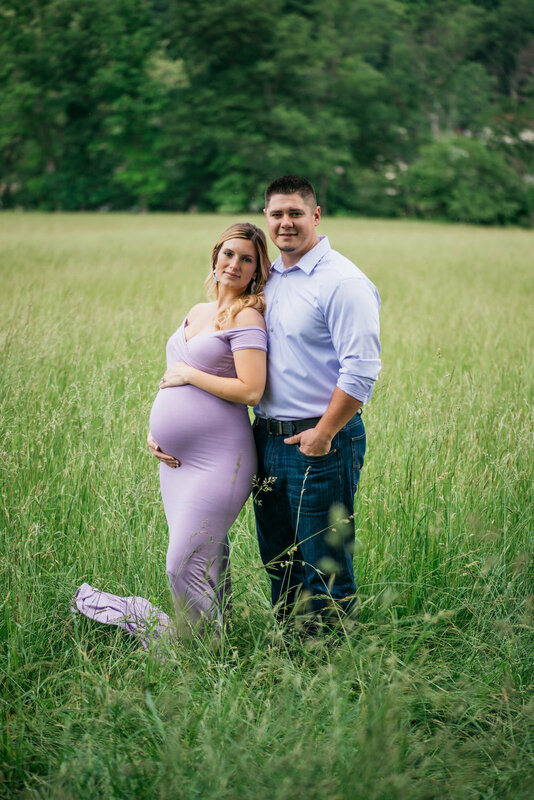 Julia's lavender Maternity dress fit her body like a glove! Can we just notate how STUNNING she looks? I cant believe shes going to have a baby soon! GUYS! IT TRULY DOESN'T GET MUCH BETTER THAN THAT! Pregnancy is fitting her well! Wishing these two ( soon to be three!) very easy days ahead of them!